Looking for the best blogging tools to add to your list of blogging tools? As you know creating, organizing, and promoting your content can take a lot of time. As a blogger you need to be online most of the time, it’s so easy to become distracted and procrastinate. We often end up doing tasks that we think are important but aren’t urgent. For example, even though reading the how to select a gorgeous WordPress theme guide is important for your blog, it’s really not as urgent as promoting that awesome blog post you’ve just published. The best blogging tools increase your productivity, help you write better posts, help you prioritize tasks, and grow your blog traffic faster. These blogging tools come in the form of WordPress plugins, software/apps, services and websites which help you to stay focused while writing, organize your time better or automate tedious tasks. Some of these blogging tools are my favourites too as I’ve been using them daily to save time and money. While most are free some offer paid options which come with extra features. This post separates the wheat from the chaff to help you find the best blogging tools for your own needs. Disclosure: At Sabahan.com I believe in transparency. The list includes a few affiliate links. If you sign up using my referral link, I’ll earn a commission at no extra cost to you. This helps me keep Sabahan.com up and running. If you are already using the self-hosted WordPress for your blog you can ignore this. Otherwise, it’s something every beginner need when they start a blog. You can either try to do everything yourself or head over to Fiverr and pay others to do the job for you for as low as $5. You can get help with a logo design, blog illustration, theme installation and customization, WordPress issues, plugins installation, proofreading, writing blog posts, you name it. Although, I wouldn’t recommend Fiverr for blog promotion and marketing, links building and SEO. The methods they use to drive short-term traffic, get followers on the social media and backlinks can often do your blog more harm than good. On a related note, feel free to check my post to help you grow your blog traffic. I wish resources like the Thrive University existed when I started my blog in 2006. It could have answered most of my newbie questions and accelerated my learning process. 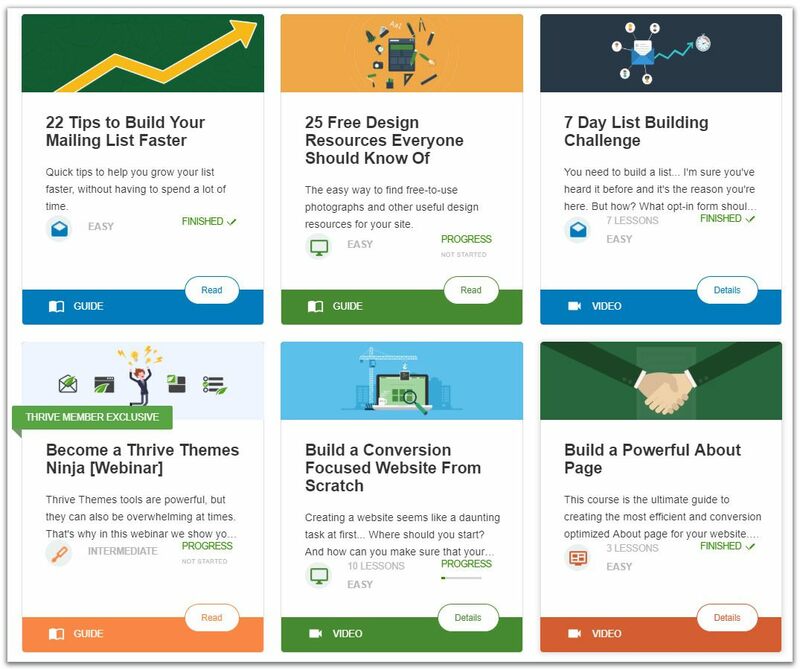 Thrive University is an entire library of in-depth training material, focused on creating and optimizing your blog or site conversion. It can be getting more email subscribers, more sales, designing beautiful blog, creating engaging content and more. Registration is free and you can access many beginners-focused as well as advanced level courses for the veteran bloggers. While anyone can access the content for free, it’s geared towards those who use their tools and plugins. Personally for me, joining their Thrive Membership ($19 monthly) has been the best investment I made for Sabahan.com so far. While the built-in editor for WordPress is fine for most bloggers, I personally prefer composing my posts using Google Doc. It’s free – if you have a Google account, you already have access to it. The autosave feature is less confusing than that of the WordPress one. It allows blogger collaboration – your partner can edit, view or comment on your article with varying degree of privacy. The only problem I encounter is when exporting my post to the WordPress editor. Copying and pasting the content results in all sorts of formatting issues. I ended up spending extra time removing extra line breaks, unnecessary HTML code and uploading the images manually. If you post often, you may want to consider using tools like Wordable to help you export Google docs to WordPress. I’ve tried Wordable before and it worked pretty well for long-form content. You can try the free option (with conditions) or pay $19.99 monthly for unlimited exports. Since I don’t post that often, I’ve been moving my posts from Google Docs to WordPress manually. The Hemingway App is a free online tool (there’s also a desktop version for PC and Mac) that helps you to improve your writing and make it easier to understand. Unfortunately for me, it introduces an extra step since I am already using Google Docs. If that doesn’t bother you, you can actually save time editing and improve the readability of your text. I use Grammarly to help me fix my spelling and grammatical errors. While it won’t fix every issue, it can be extremely helpful for any blogger to help them communicate their ideas in a better and more concise way. For those whose English is not their first language like myself, Grammarly is an invaluable tool to have in my blogging toolbox. If you have been using the built-in Microsoft Word spelling and grammar checker, give Grammarly a try as it works better. I’ve tried both the paid and find the free version is good enough for my needs. You can add the Chrome plugin or Microsoft Word plugin (this is what I’m using) to automatically check as you type. Adding images to your post can make them more appealing. It’s a way to grab the visitor’s attention and draw them into reading your article. On the other hand, having a blog post full of text can turn some visitors off. Having images also make a post more shareable. Those using Pinterest understand how important it is to have an eye-catching graphic to increase their views count. Here are some websites where you can download free images and use them without attribution. One of the most popular free stock photo sites to download free images from. You don’t even have to give credits for using the image. No strings attached. Another website offering free photos for personal and commercial use. Unsplash is a good place to find free high-resolution photos. PhotoPin lets you search millions of Creative Commons photos from websites like Flickr. Since it’s not a curated list, the quality varies from one photo to the next. One of the most popular graphic design tools online. The template-based, drag-and-drop design tool makes it very easy for non-designers to create a professional looking image that pops. Canva is great for creating social media graphics, ebook covers, Pinterest images and business stationery and many more. While there is a paid option, the free option is good enough to get you started. Another very popular online photo editing tool. Unlike Canva, it comes with a lot of photo filters and effects. I would say it’s more of an image editing tool than a graphic design tool. PicMonkey also comes with beautifully designed and fully customizable Pinterest templates to help you create eye-popping pins that get attention. A good place to find premium themes that match your blog niche. I’ve personally purchased several themes from them including article directory themes and mobile app showcase themes. Most themes are very affordable. You don’t have to spend much to find some gorgeous looking themes with great features and a mobile responsive design. Due to a large number of themes available, finding the best one for your needs can be challenging. Just be sure to check the reviews. Stick with the highly-rated and well-established themes developers. While Thrive Themes may not have the largest collection of themes, they are better known for their suite of conversion optimized design and WordPress plugin. They’re also cheaper as you can get a theme for a one time fee of $49. If you are after the user conversions like me, you can’t go wrong with Thrive Themes. With Google Analytics, you can track how and when users visit your blog. These information are important indicators of the results of your effort in creating and promoting your blog. You can install WordPress plugins such as Google Analytics Dashboard for WP (GADWP) to quickly integrate Google Analytics with your blog. Instead of repeating the best WordPress plugins you can install on your blog, click the link above to check out my related post. You can’t depend on Google or other social media for traffic forever. By having an email list, you have a growing audience that you can continue to market and announce your new content over time. As a blogger, you are also a marketer and these are the tools you need to market your stuff. MailerLite is an email marketing platform that helps you collect your visitors’ email addresses. MailerLite is totally free to use if you have fewer than 1000 subscribers. An email list is probably the most important asset an online business owner could have. Design opt-in forms on your site and connect to email marketing services like MailerLite. Increase traffic by content sharing for all Sumo users. Sumo is mainly used for creating email capture forms and adding social sharing buttons. The free plan limits you to 200 email subscribers, attached Sumo branding and with no support. That being said, it’s worth trying considering the immediate benefits your blog will enjoy. At the moment I am using Thrive Leads to design my opt-in form. Unlike other paid list-building plugins, there’s no upsells or extra features to unlock. Everything is accessible for a one-off fee of $67 (it comes with free updates for life including one year of support if you stop paying). Google Webmaster Tools is a free service by Google for webmasters. It allows you to check indexing status and optimize visibility of your blog or websites and improve your rankings on Google search result. You can learn more how to use it to improve your ranking here. Similar to Google Webmaster Tools, Bing helps you rank properly on Bing search results. A must-have WordPress plugin to help you improve your search engine rankings. You can learn how to use it here. WP Smush helps you to automatically compress and resize images without losing quality so that they load faster. Trello is a project management tool that lets you create boards for each of your projects and visually view them in one place for easy management. It’s a great tool for individual bloggers or a team to manage workflow, collaborate on a project and be productive. 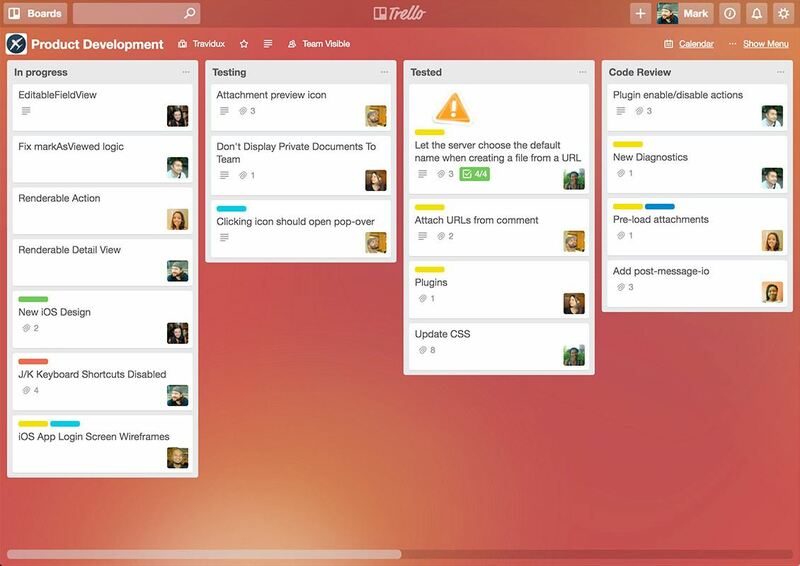 Trello uses a Kanban board style method to manage tasks. This task management style lets you organize your tasks in vertical columns. The first Kanban system was developed for use by Toyota automotive in Japan. Usually, these columns are titled Pending, In Progress and Done or something like that. So you could work on the tasks in the “In Progress” column and when complete you would move the tasks across to the Complete column. I started using the free Trello a month ago. Since then I’ve found myself stop posting virtual sticky notes or to-do list in multiple places and become more organized. Here’s a template you can use as a guide to help you create a blogging editorial calendar in Trello. 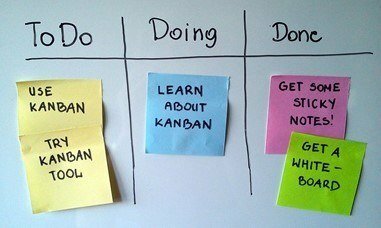 Here’s another guide to using the Kanban method with Trello. Toggl helps you track your time better. When you start tracking your time on a task, you stay accountable for the time you’re spending on that task. It is useful for bloggers who want to focus on the time they spend writing, researching and editing. If you are curious how much time you’re taking on a project you can time yourself with Toggl and find out. As you can imagine, this can be useful to freelancers who are billing by the hour. When it comes to executing my to-do list, I break up my time into a series of 30 minutes blocks. I don’t have to complete a task in 30 minutes. It’s there to help me stay focus on one, and only one task for at least 30 minutes. It’s a method I stumbled upon a while back. It has helped me to be more productive, stay more focus and get more things done. I’ve used Toggl daily since forever. I’ve used both the paid and free option and found the free one is good enough for a solopreneur like myself. It works best with a task manager like Trello. I must admit I am not a productivity nor a time-management expert who could organize and schedule my time perfectly. But I keep learning, trying to get better at it each day. I just made sure urgent and important things get done. Roboform is a password management tool which supports multiple devices from desktop, tablets to mobile and has multiple browser support as well. There’s a free option available but I needed to sync across devices, cloud backup, Two Factor Authentication and web access, therefore, the paid option is what I am using right now. When you have a lot of accounts on different websites, having a password management tool is a must. Whether you are a new or a veteran blogger, having access to the best blogging tools and resources could save you time, work faster write better and gain more readers. I’ll be updating this post and will add more tools to the list from time to time. Do you have a favourite blogging tool that’s not included in the list? Leave a comment, share any tips or tell us which tool you are using. All tools are greta and really helpful. But the very awesome thing is that about the tools is they are all free to use. So thanks a lot for sharing all tools. Really a very helpful article. Glad you find the list of blogging tools useful Dipak. What a resource Gaman! Inspired list of tools here. I use a few basic tools to keep my blogging ship afloat LOL. Amazing how simply using WordPress dot org – THE tool – distances you from bloggers using cheap, free platforms like blogger. They could work like dogs and still fail horribly while doing a few smart things persistently on dot org accelerates your success. Hey Ryan thanks for stopping by! Glad you find the list of blogging tools helpful. Informative & very helpful article for every blogger. Mentioned above are list of some best blogging tools that can be taken under consideration to efficiently grow your blog in 2018. Thanks for sharing such an valuable article. Thanks Robert! Glad you find the best blogging tools list helpful. Your writing is great. I will apply for my blog. Wish you have more great posts. I’ve used Canva, Fiverr, and a few others on this list, but there is so much more I could do to take my blog to new levels. You mention some excellent resources! Thanks for the comment Bryan. Glad you find the blogging tools list helpful. some things I have not heard of before… thanks! Thanks for reading. I hope you find the blogging tools list helpful! Will share these useful tips on my Friday Roundup. Wow thanks Stevie. I’m looking forward to reading your Friday Roundup! Glad you find the list helpful Malvika. I’ve checked your blog and was amazed to read how you managed to attract 400K impressions to your Pinterest pins. Very nice! This was so useful as I’m fairly new to blogging I need all the tips I can get!! Glad you find the blogging tools useful Imi. Good luck with your new blog!